By customizing the horizontal time scale, you can choose the appropriate view scheme and add or hide your calendar time units (days, hours). 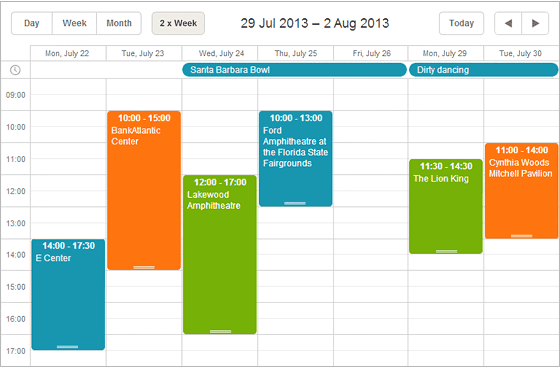 Scheduler .NET 3.0 provides a possibility to set the number of events to be displayed in the cell. If the number of events exceeds the indicated limit, the scheduler will display the ‘View more’ link with the total number of events put in the brackets. We have improved the logic of the recurrence pattern for Scheduler .NET. Now repeated events start from the date of their actual occurrence. For example, if you create a recurring event that starts every Tuesday on Friday, the event will be added starting from the next Tuesday. 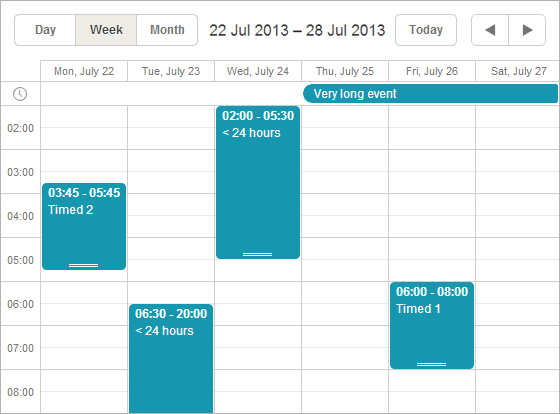 Previously, when you created recurring events for the next week, they were automatically added to the current week. If required, you can keep the old method. We have updated the data loading process. Now you can add serialization attributes to the classes. That provides more flexible data loading and removes strict requirements on names of data model properties. 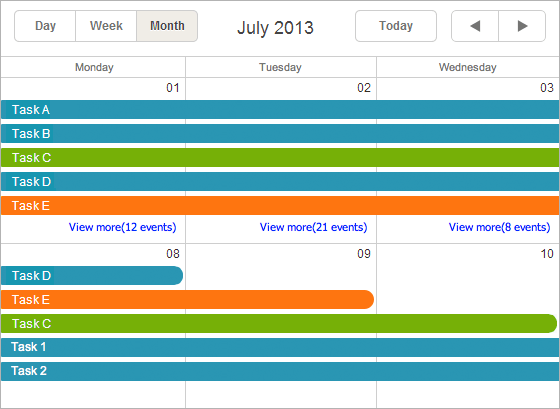 Besides, multi-day events are now visible by default. Get Scheduler .NET 3.0 right now. If you like the news, share it with your friends and comment below. Your opinion is important for us.